Stuart many thanks for installing our new Ideal Logic + Combi boiler and new radiators throughout the house. The work was completed on time at the price quoted, every day we came home the work areas had been cleaned and tidied nothing, The new system has made a real difference to the warmth of our home and the added designer radiator in the conservatory has now made this an all year round room. I would Have no problem recommending you. Many thanks. Stuart Was recommended to me by my close friends to install my New Ideal Logic + Combi boiler, radiators, New shower & Screen, Stuart is always approachable and the sort of person you don’t think twice to call, the work was completed on time to a high standard I was very pleased with the quality of the work and would and have recommended him to my friends and have already had him back to complete more work. Stuart and I met completing works on the same property he seemed so eager to please and the quality of the works I saw impressed me so I had a new Ideal Logic + Combi boiler installed in my home, the work was completed early and to a very high standard we are so pleased with the work and the fact that Stuart can’t seem to do enough to help I am already recommending him to friends and others. Many thanks. 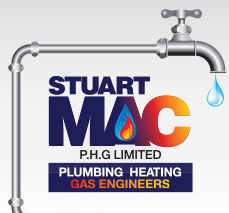 Properties Stuart completed some work on one of my properties to a high standard we then gave him some more work to complete which again was to a high standard, we have now tasked Stuart to provide both Gas and Plumbing services to all of our properties. Nothing seems too much and he will always go out of his way to ensure he looks after his customers. He has completed installation of a new Worcester Bosch Combi boiler which was on time on budget and again to a high standard quality finish. I would have no problem recommending Stuart. Stuart has now completed a number of radiator changes in our home, I was impressed with his attention to detail and quality finish nothing is too much of an issues for him. Many Thanks, I would recommend Stuart to my friends every time. Stuart has completed both Gas services for my home and my elderly Father, we have now had Stuart install a new cloakroom suite which we are very pleased with a good quality finish at the right price. If you have a problem Stuart will get to you the same day even Many Thanks. Stuart installed my new Gas Hob, this was not a straight forward job but Stuart discussed the additional work required any explained why I was very pleased with the quality of work and would have no problem recommending him to my friends. Stuart Has now completed a number of repairs to our bathroom plumbing each time the advise, the work has been to a high standard that you can have confidence in I have no problems letting my friends have his number. Many thanks.